In Callaway County, one in five children is hungry. ...and when there’s no school, there’s less food. You can provide Callaway County children with extra nutrition so they can have a better chance of growing & learning. Just $15 each month or $180 a year provides one Buddy Pack for an entire school year! 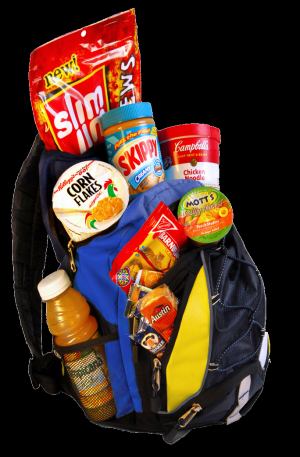 281 children at Auxvasse, Bartley, Bush, Hatton McCreadie, McIntire, New Bloomfield and South Callaway R-II elementary schools receive food from The Food Bank’s Buddy Pack program each week. to give $15 a month or $180 a year. We are proud to be part of this community wide program providing meals for children who are in need of assurance that they will have food to eat when school is not in session on weekends and during breaks. Grand Prairie Baptist has teamed up with the Food Bank and has committed to feeding 15 children throughout the school year. 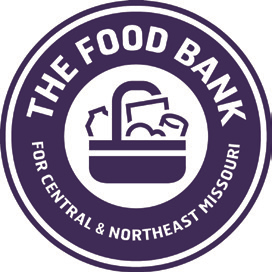 We will be sending $150.00 per month to the Food Bank and your monetary donations will be greatly appreciated! Please note "Back Pack" on the memo section of your check to assure your donation is applied correctly. Thank you in advance for your generous support of this ongoing effort.